Copy that bakup to a safe place because it will be overwritten next time you install a Live Area Theme. NOTE: The themes you want to install must not already be inside a folder. All the images have to be directly inside the zip file. Even if the zip does not have these files the theme will work but the preview will appear as blank. The vita will automatically generate a preview image after “equipping” the theme. LIVE AREA THEME NOT SHOWING ON VITA THEME MANAGER? Did any error appeared during the installation process? · Have you created the correct path for the themes? · Create the path and then try reinstalling again. Go to the folder path for the type of theme installed (unique or common) and make sure that the images got successfully transferred. Send me a screenshot of the blank space on the vita theme manager, another screenshot showing that the image files actually got installed in the correct path and your app.db so I can check the error. THERE WAS A PROBLEM OPENING THE ZIP FILE. THE FILE MIGHT BE CORRUPTED. TRY AGAIN. This error occurs after the zip file has been downloaded and the App tries to open it to copy its contents. Due to multiple factors, sometimes the zip files get corrupted and, therefore, will fail to install. That’s when this error usually happens. This error occurs after the zip contents have been successfully read. When the App tries to copy all the extracted contents to the selected path (ux0:customtheme/u/ - ux0:customtheme/u/ - ux0:VitaShell/theme/) and don’t find the path then this error occurs. There is also the possibility that for some reason the extraction process fails at some point and only a portion of the files is transferred, then this error might appear even though you theme will “look fine”. Nevertheless, you should reinstall again. -Download and install Vita Shell Manager. It will let you select which theme you want to use. Pretty simple. 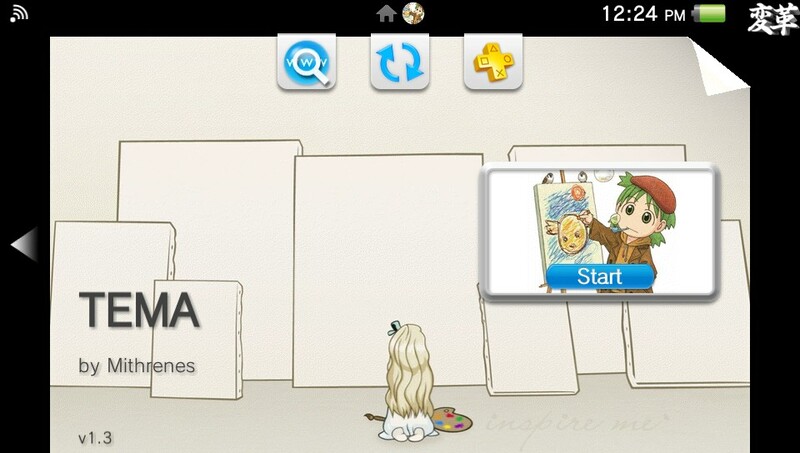 -On your Vita Live Area Go to Settings à Start à Theme & Background à Theme. There you can select which theme you want to use. 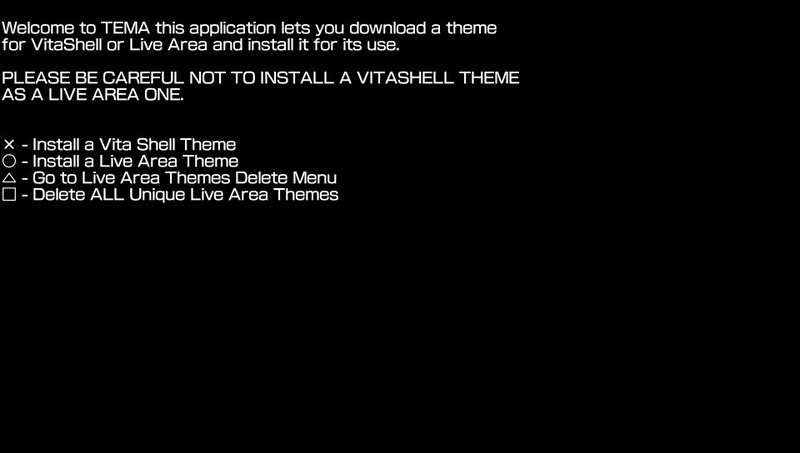 DO NOT DELETE YOUR CUSTOM LIVE AREA THEMES WITH THE VITA OFICIAL THEME MANAGER, IT WILL THROW AN ERROR. YOU HAVE TO DELETE THEM USING THE APP OR MANUALLY DELETING THE THEME INFO FROM tbl_theme ON YOUR app.db FILE. Beta version. Better error messages. Some menu optimization and icon.